Very dark, with blueish-violet shades and high viscosity; An enormous flavour concentration, based on very ripe seductive dark fruits like roasted aromas of plums, cassis, and dark cherries combined with currant, toasty, coffee, mokka aromas. It shows a perfect harmony of alcohol and lively acidity full-bodied, ripe and rich tannins and a lovely sweet mouthfeel. The secret of this wine is its perfect sugar balance. It never feels sticky sweet or tiring! The relatively low sugar level (compared to other Sweet Reds like Banyuls or Port) allows this wine to pair with main courses like roasted beef, game, roasted duck, stews, steak, oxtail, or smoked fois gras. Also pairs well with any kind of bitter flavours like coffee, nuts, bitter chocolate, smoky, toasty aromas…and fresh and mature cheeses…and simply by itself…or as a good Port with a cigar. Pansal del Calàs 2012: 9,26. 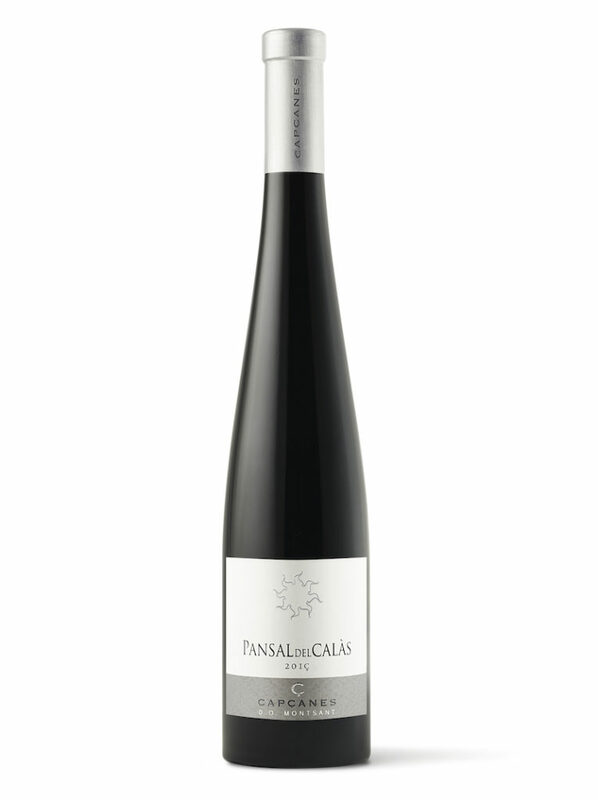 Pansal del Calàs 2010 88p Vino muy Bueno 70% Garnacha, 30% Cariñena. Color borde granate, borde violáceo. Aroma intensidad media, fruta madura, fruta confitada. Boca frutoso, sabroso, equilibrado, buena acidez. Pansal del Calàs 2008 90p Colour: cherry, garnet rim. Nose: ripe fruit, fruit liqueur notes, dark chocolate, cocoa bean, sweet spices, toasty. Palate: powerful, flavourful, long, balanced. “Pansal del Calàs 2008” 90p Color cereza, borde granate. Aroma fruta madura, fruta al licor, chocolate, cacao fino, especias dulces, tostado. Boca potente, sabroso, largo, equilibrado. On the 10-15th day of fermentation (at a moment the fermented must contains around 12% Alc.) fermentation is stopped with the addition of high percentage (96%) rectified grape alcohol retaining a natural sweetness of 70-80 g/l, and fortified up to the 16,5%Alc.